The magic of the Tarot is that the images talk to you in different ways at different times in your life. And they can talk to you through the prism of spiritual practices or disciplines. Two that resonate with Linda Marson are the Jewish mystical tradition of Kabbalah and the nature spirituality of DruidCraft (a blend of Druidry and Wicca). In this master class Linda explains the structure of The Tree of Life and its connection with the Major Arcana. 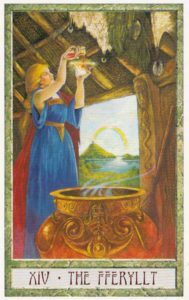 She introduces you to key concepts that underpin Druidry and Wicca and talks with Philip Carr-Gomm, co-creator of the DruidCraft Tarot about how these are reflected in the imagery of the cards. Click here to read a blog by Linda where she discusses the connection between Tarot, Kabbalah and Druidry. 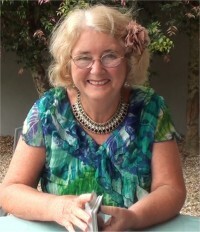 In 2011 Linda established Global Spiritual Studies and Evelynne was one of the first people she contacted about offering classes. Together they converted the face-to-face course into 28 online classes which is called Living the Tree of Life. The video recording of the class is available as a Windows Media file (.wmv). It can be viewed on PCs using Windows Media Player and on Macs using the free VLC multimedia player for Mac operating systems which can be downloaded here.